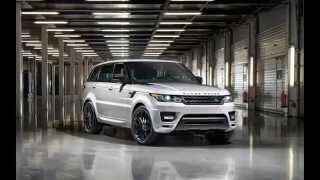 Making official debut at the New York Auto Show in 2013, the Range Rover Sport gained wide attention with its four equipment level choices. 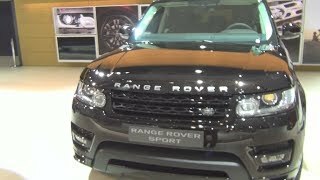 Moving ahead Land Rover looks all prepared two bring a new version with list of options at the Goodwood Festival of Speed, by introducing its Land Rover Range Rover Sport Stealth Pack 2014. Through this new pack company is introducing rounds of changes at the exterior but with no sign of work in its interior and power beneath the hood. 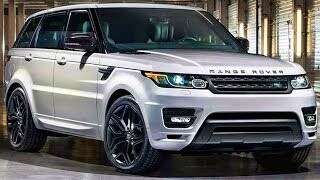 Let us have a closer look at the review of Land Rover Range Rover Stealth Pack 2014 to know more about company’s vision and works. 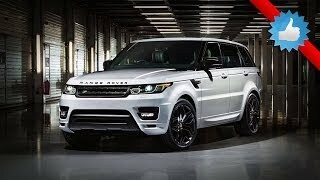 WHAT IS LAND ROVER RANGE ROVER STEALTH PACK 2014? 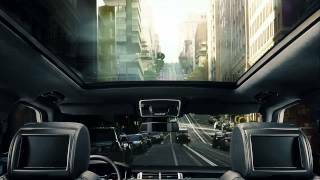 With the addition of Stealth Pack to Land Rover Range Rover Stealth Pack 2014, the model has received series of visual upgrades while the power beneath hood and its interior remains unchanged. Starting with the front fascia of Land Rover Range Rover Stealth Pack 2014 you’ll notice gloss black pieces being replaced by Satin Black Grille with surrounds. Agreeing to the fact that the change isn’t a major one, but the look indeed gets a remarkable vibe of attraction, that adds a badge to model. The same trend follows from fog lamp bezels till beneath the mirror cap, going through hood and fender vents. Headlights and taillights get a stealth finish through black surrounds around the blacked-out housings. The effects thus added looks impeccable over the white painted Land Rover Range Rover Stealth Pack 2014; however we can’t say anything about it over other exterior paints. As we mentioned earlier the power beneath the hood is unchanged just like its interior. With options of 12” or 22” roller coming in nine-spoke or five-spoke design, costing $2,900 and $4200 respectively, Land Rover Range Rover Stealth Pack 2014 bundles the same output statistics. Coming with three engine choices, its offers a 5.0 Liter supercharged V8 delivering 508 hp, a 4.4 SDV8 diesel with total output of 337 hp and peak torque of 700 nm and a 3.0 Liter SDV6 diesel producing 290 hp.